We have pamphlets and postcards ready for you! 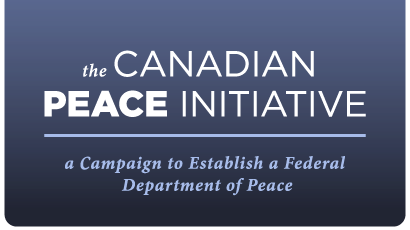 They've been designed to help supporters spread the word about the need for a Department of Peace. Both have blank spaces, which you will need to fill in. This is done so that you can include locally relevant information about how to take action. For instance, if you're hosting a local event to raise awareness about the need for a Department of Peace, you can fill in the event details and then print off and distribute copies. 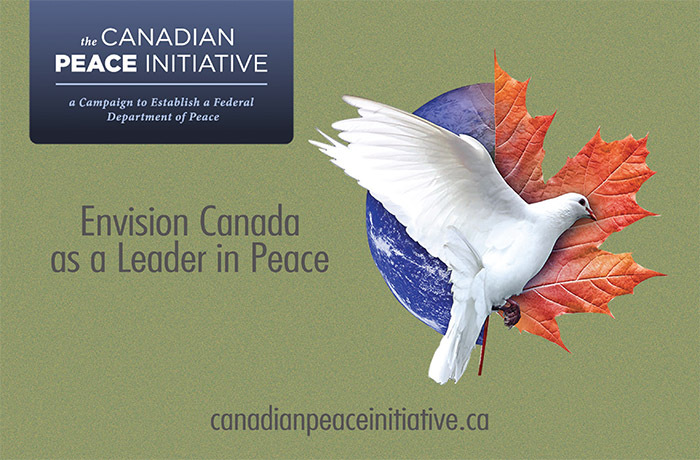 Postcards are particularly useful in telling elected representatives that we would like to see a Department of Peace. You can print copies and ask family and friends to send them to their Members of Parliament. If you don?t have Adobe Acrobat Reader download and install it. It's free. Open the pamphlet or postcard files (they're in PDF format) in Acrobat Reader. On the back of the pamphlet or postcard, click on the blue areas and fill out the information you'd like to include. If you're going to print the file at home (you will need to be able to print double-sided files), under the File menu, select Print. If you're going to have the file printed elsewhere, or if you want to keep it with the information you just typed in, under the File menu, select Save As and save the file somewhere that you can find it, perhaps on a USB. You can then take the saved file to a local copy shop for printing.